Anderson went to work early and often for the Spartans in what was a successful weekend for the scoring guard. He had a quick pull from the perimeter and was highly efficient with those looks, sending in 16-29 (55%) of the attempts from three. He also had some solid finishes in transition and got others involved averaging 1.5 assists, many after coming up with some steals defensively and pushing the ball on the break. Breeding had a steady tournament on his home-floor. The young post was stout inside defensively, grabbing rebounds with some tenacity and also rejecting shots (1.3 bpg). Offensively, Breeding was good in the middle and finishing near the hoop, averaging 12 points per contest with a nice 58% field goal percentage. Another area that was key for Kingdom Hoops to compete was finishing the free plays and Breeding did an excellent job of that, converting 14-of-17 free throw attempts. Brown was consistently the most productive player for his team throughout the weekend in Session 2. Brown had some really good games that helped his team gather a pair of wins behind his post-presence. He converted 46% of his field goals and put up 13.5 points per game, but his impact might have been more important from his work on the glass. Brown pulled down almost 7 rebounds a game. 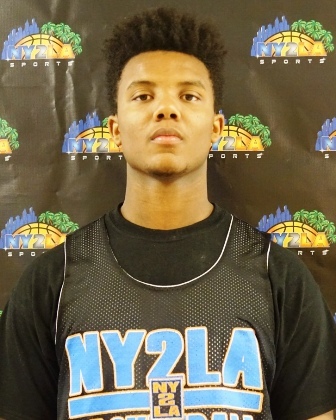 The Kingdom Hoops wing prospect was dominant often times during Session 2. Keough looked confident and hungry throughout the weekend and made plays for his team seemingly every time they needed something big. Keough buried a few triples, took the ball strong to the hole and took contact to get to the free throw line or finished baskets through that contact to help his team stretch leads and win games. Keough averaged 16 points per game, pulled in 5 rebounds and was unselfish as well, getting the ball to teammates to score (2.7 apg). Look for Keough to leave an even bigger impact in Minnesota. Jensen was a do-everything type player for 43 Hoops in Iowa. He rebounded the ball hard, hustled after loose balls and made plays in the half-court for his team either scoring or sharing it. Jensen did not force things and showed he can knock down open three’s, finished at the free throw line 10-of-14 times and scored taking it to the basket to the tune of 12.2 points, 5 rebounds, 2.2 steals and 1.5 assists per game. Long was spectacular in Des Moines, lifting his team up and leading them to a 4-0 record to kickstart their GNBA work. The young forward was extremely active on the glass, both offensively and defensively, pressured opponents and forced them into turnovers often, blocked shots (1.8 bpg) and while he was typically the best scorer on the court, he still looked for his teammates and helped them get open shots near the bucket. Long averaged a double-double and his entire stat line was flat out special, reading 17.5ppg, 10.8rpg, 2.2spg and 1.5apg as well as the previously mentioned blocks. 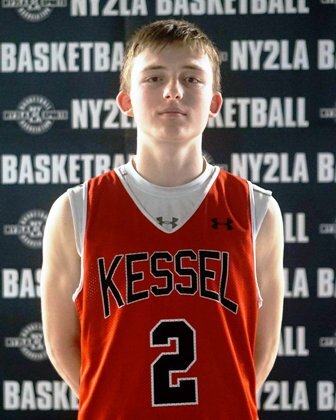 Metzger looks to be a player on the rise, doing a bit of everything for the Barnstormers over the weekend, making plays with the ball in his hands as well as slashing from the wings and fighting his way to the basket. 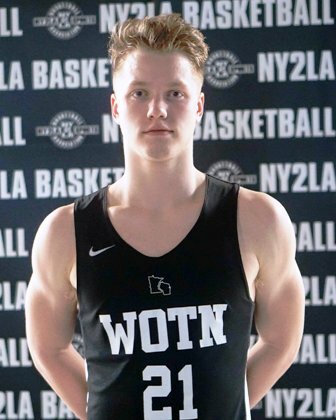 The emerging 2019 prospect got after it on the boards with 5.5 rebounds per game, showed he has a perimeter shot when open and finished around the basket often with 12.8 points per contest. His best stat might be from the free throw line though where he finished all 18 of his attempts, draining the charity shots with ice in his veins. Reece had himself a strong weekend for Yanders Law who looks to carry some momentum into the next session, and will likely do so on the back of their young wing/forward. Reece was efficient from the field, shooting it 58.5% and showcasing his ability to make plays around the rim, but also to step away and knock down some nice mid-range jump shots with confidence. Also, Reece is a work-horse on the glass, snagging 6.2 rebounds per game. He averaged 14 points per game as well. Full Package will look to improve their play into the next session, led by their emerging young off-guard. Toussaint played strong in multiple facets of the game, getting after 50/50 balls, getting in the mix rebounding, and sneaking in a few steals on the weekend. Furthermore, Toussaint displayed that he can bury the outside shot hitting 7 threes on the weekend and scoring 12 points per game. PowerGroup had a fine weekend in Iowa, and White was that powering force the team looked to often during the games. White nearly averaged a double-double with points and rebounds, being steady in both areas, pulling down boards, getting some extra opportunities and finishing at the rim. He also showed some quick hands, getting 2.8 steals per game on the weekend, and then starting the break often finding teammates in the open court to get them lay-ups. White averaged 9.2 points, 8 rebounds and 1.5 assists per game as PowerGroup went 3-1 for Session 2.